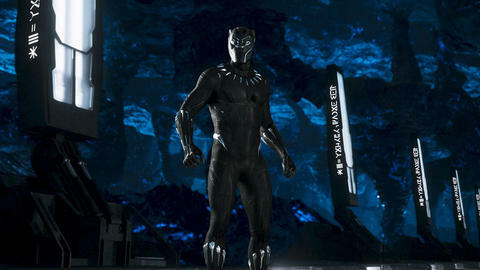 Fans turned out in droves for T'Challa, with the film bringing in $426 million worldwide so far. It’s good to be the King of Wakanda, as Marvel Studios’ ‘Black Panther’ opened to massive numbers in both the US and in many markets around the world. “Black Panther” brought in a record-breaking $242 million at the domestic box office over the holiday weekend, including Presidents Day on Monday, making it the second-highest four-day opening in movie history. Meanwhile, its worldwide box office to date is already at more than $426 million, with the film set to debut soon in more major markets. “Black Panther” is currently Certified Fresh at 97% on Rotten Tomatoes, giving it not only the best Rotten Tomatoes score so far for a Marvel Cinematic Universe movie, but for any Super Hero film in history. To see the world of Wakanda come alive for yourself, reserve tickets to catch “Black Panther” in theaters now! You can also follow @theblackpanther on Twitter and like Black Panther’s official Facebook page for all the latest news and updates!